xP// Pixelmon G11 - Custom plugins! xP// Gaming is a friendly gaming community that has been running for nearly 8 years, going through various games and servers over time. This server, xP// Pixelmon, marks our very first Pixelmon server and our first modded server in general. Please note that we are not necessarily a child-friendly server -- cussing is allowed (though flaming is not! ), and you should expect the occasional crude joke. We currently run Pixelmon, and we're aiming for a Pokémon-style progression with 16 NPC gyms (+3 'special league' challenge gyms), an Elite Four and a whole slew of side locations. We intend to offer a fair and balanced challenge, making shinies and legendaries actually matter -- don't expect to get them given to you on a silver platter! 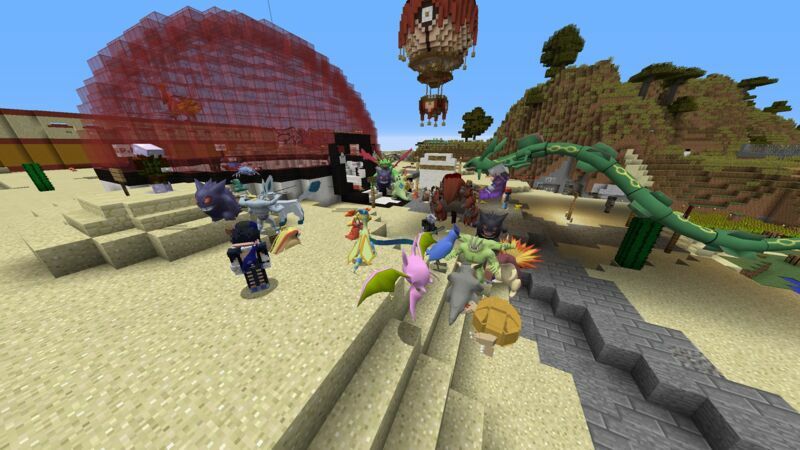 If you think that sounds fun and you want a true Pokémon experience, this server is for you! As well as running Pixelmon, we also run Nations - a plugin similar to things like Towny and Factions that allows you to protect areas and create your very own towns and cities. These can then be joined by other players, which makes working together much easier. We have plans for making gyms something that nation owners can buy, but we haven't quite worked out the details yet. Stay tuned, there! When it comes to permissions, everybody is pretty much equal. There are no special paid perks (apart from a fancy green name and our undying gratitude), and even the owners will never spawn in money or items for personal use. Again, we're going for a uniformly fair experience here. Fun for all involved! XPGaming is an overall fantastic server. it has a fantastic group of responsible and mature staff members to help make the experience more memorable. Through a plethora of tough challenges to a wide variety of enjoyable events, XPGaming is a community accepting to everyone.